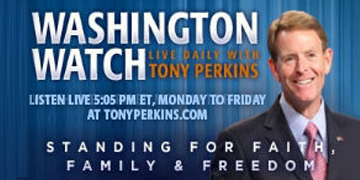 On Tuesday's edition of "Washington Watch with Tony Perkins" Rep. Mike Johnson (R-La.) joins Tony to highlight next week’s hearing with Google Chief Executive Sundar Pichai for alleged bias against conservatives. He’ll also weigh in on what’s in store for conservatives in the next Congress as Republican’s prepare for the switch to minority. Texas Attorney General Ken Paxton joins us to discuss a lawsuit against San Antonio Police Chief William McManus for mishandling a case of human smuggling by releasing a dozen suspected illegal immigrants. Also, Sarah Perry, Director of Partnerships at Family Research Council Action, is here with her thoughts on popular Christian artist Lauren Daigle’s recent comments about her confusion over whether homosexuality is a sin.